Workweek is a task management and productivity app that helps you to be more productive, and get more done each work week. Workweek to-do management functionality allows you to add due dates to tasks, as well as set the status of each task. The software allows you to collaborate easily with other members of your team by viewing their task list, and inviting them to view yours. Workweek is mobile friendly, and allows you to add and edit tasks directly from your mobile device. You can also sync Workweek across devices, so whenever you add a task on your computer, it instantly appears on your phone, and vice versa. 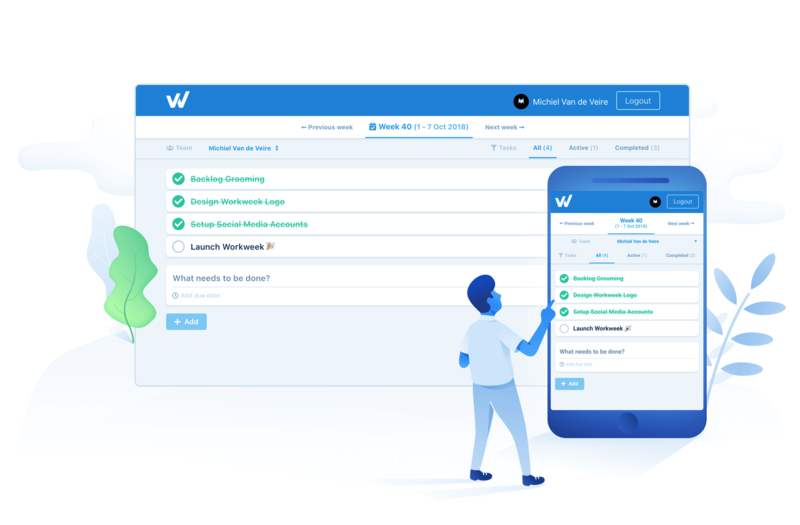 Workweek helps you manage projects by keeping track of their status, as well as who is working on which stage, and what the deadline for each task is. You can access this information from anywhere at anytime, as the data is stored in the cloud. How much does Workweek cost ? The pricing for Workweek starts at $0.0 per month. Workweek has a single plan - Workweek at $0.0 per month.